Portrait of a Fox, or Kitsune. colored pencils, sharpie paint pen on toned Canson Mi-Tientes acid free paper 5 x 7 inches. 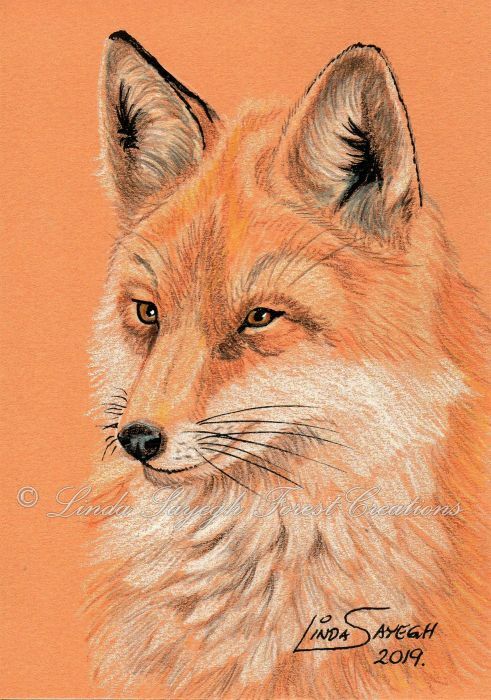 Evelyn Henderson says: You do such beautiful animal art !! ~ Reply? Kathy Nutt says: Very nice! ~ Reply? Mayumi Ogihara says: Fantastic ~ Reply?